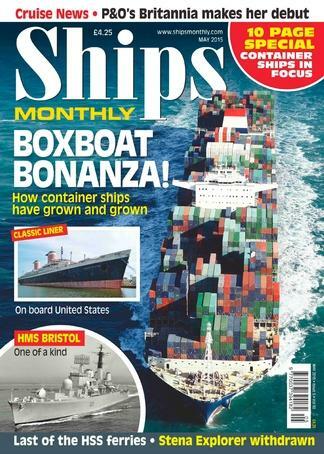 Ships Monthly magazine continues to be the world's top selling UK published specialist shipping magazine for enthusiasts and maritime professionals. Ships Monthly constantly returns worldwide sales exceeding 18,000 copies per month and presents a balanced view of the fast-changing world of deep sea and coastal shipping. Printed in full colour throughout, each issue of Ships Monthly remains a valuable source of reference and is referred to time and time again. Be the first person to tell us what you think about Ships Monthly (UK) and you'll save $5 on your next purchase!